DCA explores the historical connections between the Crown and Iwi in Rotorua. The crossroads of Fenton & Pukaki Street is the meeting of two cultures and a story of New Zealand & Rotorua history. Pukaki is the carved representation of a Ngati Whakaue ancestor that once stood at the base of the Pukeroa Pa above Ohinemutu. In 1877 Pukaki was presented by Ngati Whakaue to Chief Judge Francis Dart Fenton as recognition to proceed with the development of Rotorua township. The presentation was seen as a seal of trust between the crown and Ngati Whakaue. 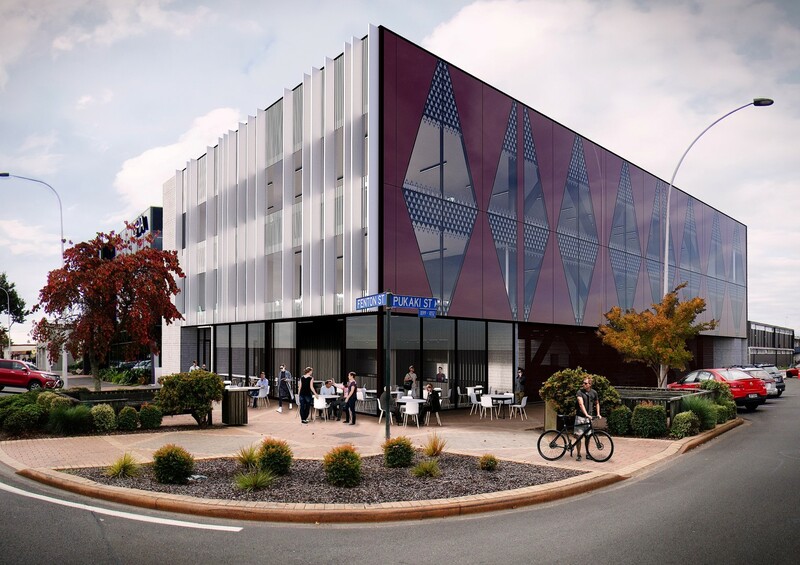 In this development the building acknowledges the story of Fenton and Pukaki. The outward faces of the two street elevations have been articulated to represent two cultures meeting on the corner. Pukaki Street references patterning and colour-ways of Maori, while Fenton Street retains a colonial and rigid framework of Pakeha. The building is set to be constructed during 2019 in time for a 2020 opening.